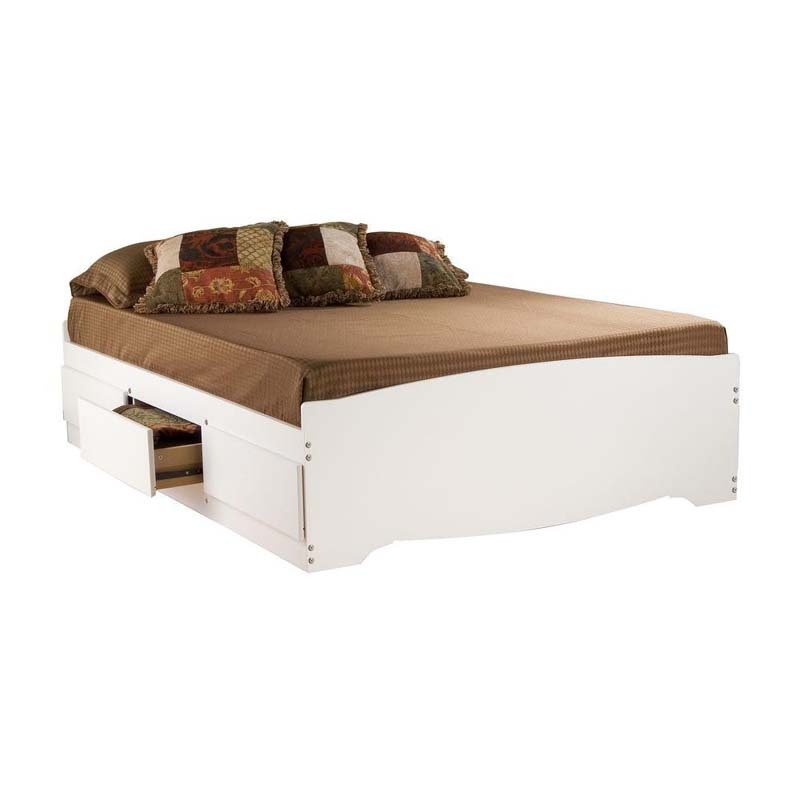 More on the Prepac Full Size Platform Bed with 6 Drawers (White) WBD-5600-3K below. 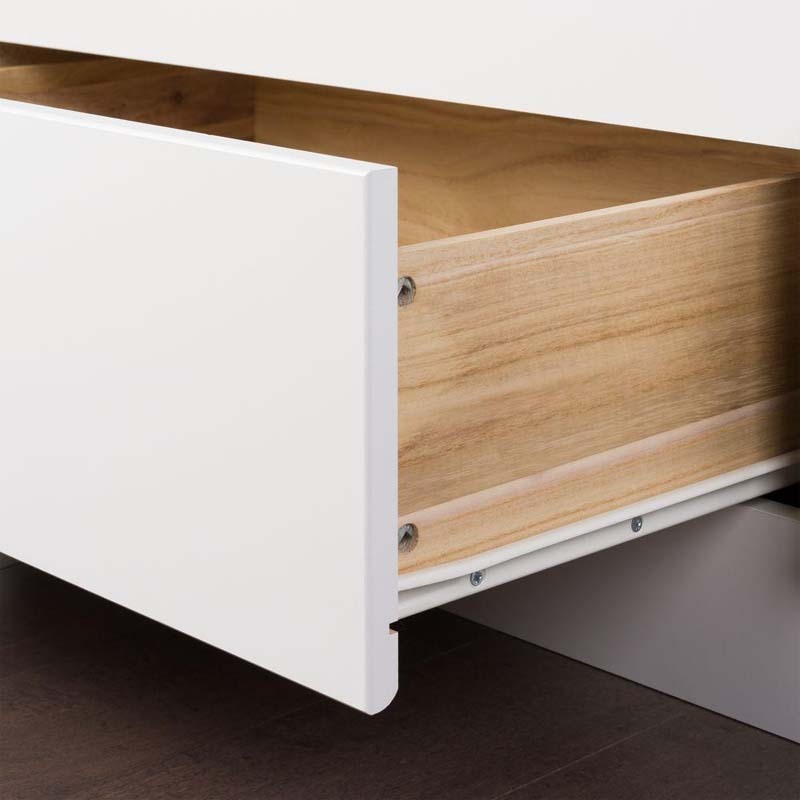 Expand the storage potential of your bedroom with the Full Size Platform Storage Bed with 6 Drawers. 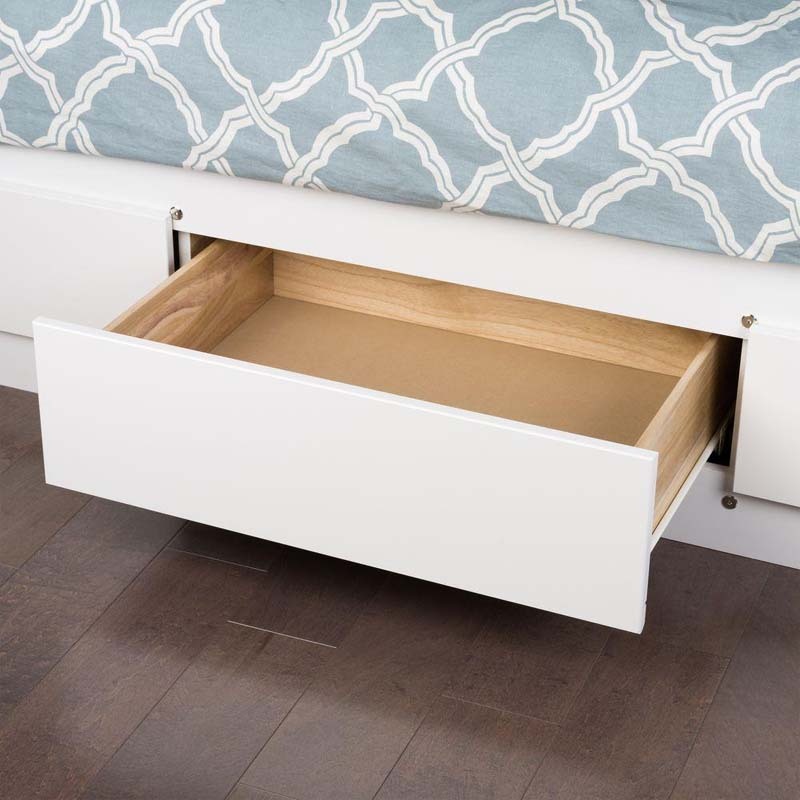 Use the six 18 inch deep drawers (three on each side) included in this mates bed to stow away blankets, linens and anything else that wont quite fit into your other bedroom furniture, and conserve floor space while youre at it. 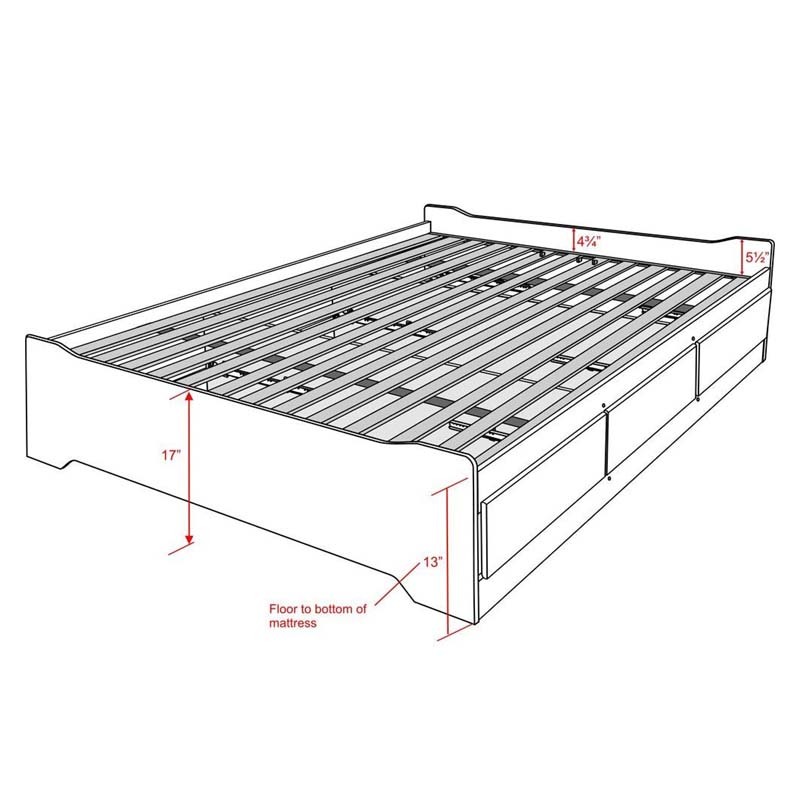 You wont need a box spring, either, thanks to the sturdy slat support system that requires only a mattress. ~NOTE: The picture of the full room set in the images above shows the bed with the optional headboard. You must select the option to add the headboard if you would like to include it in your order. Thank You.